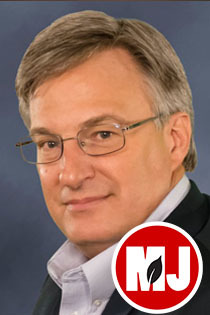 Troy Moling is the host and producer for Market Journal, and started in the broadcasting industry in 2002. 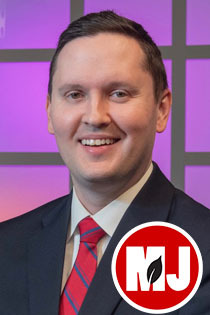 A southerner by way of Memphis, Troy has worked behind the scenes as a producer and multimedia journalist, and in front of the camera as a meteorologist and news anchor. Stories he's covered include an examination into the inner workings of the food science industry, a three-part series chronicling the future of farming in the Midwest and even a profile of Mississippi’s largest alpaca ranch. Troy graduated with honors from Union University and earned meteorological certification through Mississippi State University. In his free time, he enjoys running, trying new restaurants, following NBA basketball (go Grizzlies!!!) or refining his recipe for the perfect peanut butter and honey sandwich. Mattie graduated from the University of Nebraska-Lincoln in May of 2018. While there, she attended the Johnny Carson School of Theatre and Film where she earned two Bachelor of Fine Arts degrees in theatre and film and new media. She is an award winning editor and her work has been included in many different festivals around the country, including the Omaha Film Festival. 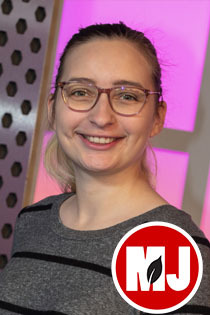 Before coming to Market Journal in June 2018, Mattie worked with UNL’s HuskerVision where she directed screen shows and live streams for volleyball, women’s basketball, gymnastics, wrestling, and baseball while acting as a producer/editor for women’s gymnastics. Bill Dodd was born and raised in the sandhills of Nebraska. 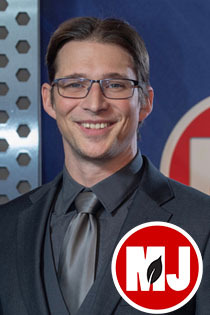 Before joining the IANR Media team as a show producer, Bill attended the University of Nebraska-Lincoln, where he graduated with a B.A. in Broadcast Production. 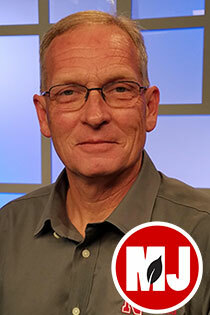 Upon his graduation, Bill spent the next four years serving as Chief Photographer for 10/11 News in Lincoln where he covered stories ranging from breaking news, to agriculture and, of course, high school and Husker sports. A self-proclaimed karaoke king, in his free time, Bill enjoys playing guitar and singing for his daughters, getting outdoors to take pictures and fly drones, hunting, fishing and camping. 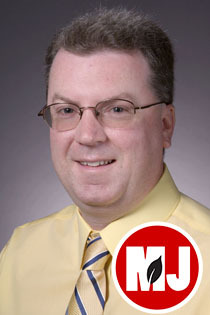 Al Dutcher can be seen every week on Market Journal bringing you the latest forecast. He specializes in climate data analysis, soil moisture analysis, weather forecasting, crop/weather relationships, and drought monitoring. 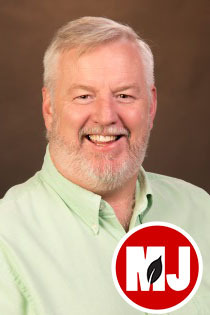 A member of NU's School of Natural Resource Sciences, Al has been with the University of Nebraska since 1989. He holds a B.S. in Meteorology and an M.S. in Climatology, both degrees earned at Iowa State University. Dutcher is a past president and current member of the American Association of State Climatologists. He serves on the Governor's Climate Assessment Response Committee and chairs the state's Water Availability Outlook Committee. He's also a contributing editor/writer for Cropwatch. Originally from Deckerville, Michigan, Al has also lived in Germany, Japan, Virginia, and North Carolina. Jeff Peterson created Heartland Farm Partners with Dan Cowger. The team's vision of Heartland Farm Partners is "A commitment to excellence in personalized service for farm operations, big or small." Jeff has spent his professional life working in the grain industry. He began his career with Cargill and has spent over 17 years in the grain industry. Nine of those years were spent as a grain merchandiser and manager at large elevators throughout the Midwest. 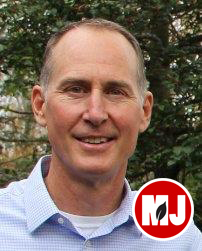 Jeff has spent the last eight years of his career working directly with farmers on their marketing needs. Jeff enjoys working with farmers on an individual basis and realizes the personal, financial and emotional needs of each operation are different. Doug has been a risk management consultant and commodity broker since 1999, working with agribusinesses and diversified farms. Doug graduated from the University of Nebraska-Lincoln with a BA in international affairs and economics and an MS in ag economics. 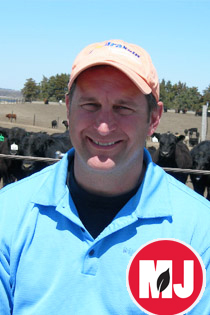 Doug worked in the Agricultural Marketing Center at UNL and taught agricultural economics while completing his degree. He graduated from Louisville High School and worked on his parent’s farm, a local dairy, and put up hay and walked beans across most of Cass County with his four brothers and buddies. Doug’s wife, Nicole is from Toronto. Their children are Ben, Zach and Madeleine. Elaine Kub is the author of Mastering the Grain Markets: How Profits Are Really Made — a 360-degree look at all aspects of grain trading, which draws on her experiences as a futures broker, market analyst, grain merchandiser, and farmer. 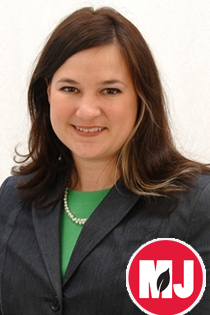 Before earning an engineering degree from the University of Nebraska and a Masters of Business Administration from the University of California San Diego, Kub grew up on a family farm in South Dakota, where she is still active in grain and livestock production. Mike Briggs is a third-generation cattleman from Seward, Nebraska. His family has been feeding cattle since 1935. Briggs, a graduate of Doane College in Crete, Nebraska, is an active member of the Nebraska Cattlemen. He also served as the vice-chair of the Animal Health and Nutrition Committee, and as chairman of the Feed Lot Council. He is a charter member of the board of the Nebraska Corn-fed Beef program and also served as president and vice-president of that organization. Mike Briggs says he enjoys the beef business and says that he, "cannot imagine doing anything else." 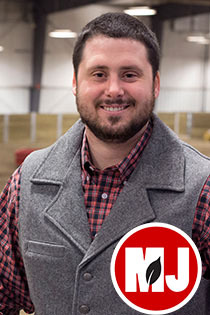 Dr. Josh Maples is an Assistant Professor and Livestock Extension Economist in the Department of Agricultural Economics at Mississippi State University. His primary extension and research area is in livestock market analysis. In the classroom, Dr. Maples teaches the undergraduate Commodity Futures and Options Marketing course at MSU. He was raised on a registered angus cattle farm in Elkmont, AL. Darin Newsom has 25 years of experience analyzing commodity markets and developing risk-management strategies. His articles and commentary are also consistently featured in industry publications, multiple newspapers and radio stations throughout the country. 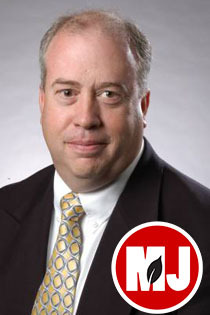 Todd Hultman is a DTN market analyst, and has worked in the commodity futures industry since 1985. Todd began his career as a broker with Delta Futures Group in Omaha, where he relied on DTN's news and market quotes. In 1997, he left the brokerage business with a desire to spend more time researching the futures markets and educating others. The move led to the creation of an online educational resource for futures traders that ended when he came to DTN. That same strong interest to research and teach brought a Todd to DTN’s newsroom in 2013 where he enjoys commenting on the ag markets. 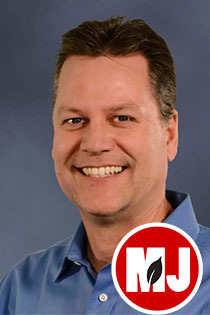 Todd is a 1981 graduate of the University of Nebraska at Omaha and has lived in the Omaha area most of his life. 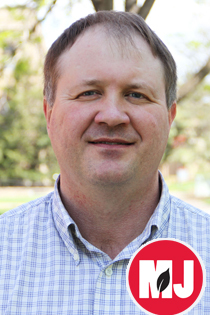 Lee Schulz is an associate professor in the Department of Economics at Iowa State University and serves as the statewide specialist on livestock economics and markets. His areas of expertise are in production and marketing, price analysis, and risk management for the cattle/beef and hog/pork sectors. He publishes regularly in professional journals, extension publications, and the popular press and speaks at numerous professional and agricultural conferences. Lee grew up on a diversified crop and livestock farm in central Wisconsin. He obtained a B.S. in Agricultural Business from the University of Wisconsin-River Falls, a M.S. in Agricultural Economics from Michigan State University, and a Ph.D. in Agricultural Economics from Kansas State University. Dr. Olson conducts educational programs and research in crop marketing and market analysis, crop contracting and risk management. He also does collaborative research and educational work in the areas of agribusiness management and farm management. 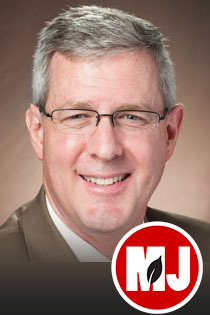 Dr. Olson received his PhD in Agricultural Economics from the University of Missouri, and his M.S. and B.S. in Agricultural Economics from North Dakota State University. Luke is the Grain Sales Manager for Central Valley Ag Cooperative, heading up grain origination for the company. The origination team at CVA focuses on helping producers make better grain marketing decisions and provides area producers with marketing solutions into CVA and processing destinations. Luke is a native of Elgin, Nebraska, where he grew up on a diversified crop and livestock operation consisting of corn, soybeans, and market hogs. Luke began working for CVA as a Risk Management Consultant in 2011, following college at the University of Nebraska – Lincoln. 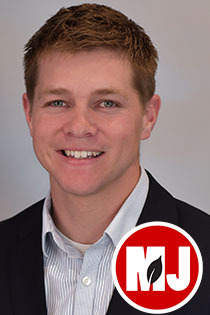 While in Lincoln, Luke obtained Bachelor’s degrees in Agricultural Economics and Agronomy in addition to securing his commodity brokerage license. He is a LEAD 37 alum and remains actively involved in the family farm operation. 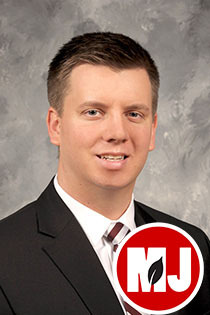 Brown is a graduate of Mizzou, with both his Master’s and Doctoral degrees in agricultural economics. Derrell Peel is the Charles Breedlove Professor of Agribusiness in the Oklahoma State University's department of agricultural economics. He has served as the Extension livestock marketing specialist since he came to Oklahoma State University in 1989. He has bachelor's and master's degrees from Montana State University and a doctorate from the University of Illinois. His main program areas at OSU include livestock market outlook and marketing/risk management education for livestock producers. Peel also works in the area of international livestock and meat trade with particular focus on Mexico and Canada and the North American livestock and meat industry. Chad was born and raised in southwest Missouri. His parents raised a few cattle and operated a small meat locker. He received a B.S. in economics with minors in mathematics, history, and astronomy from Southwest Missouri State University in 1991. He then moved to Iowa in the summer of 1991 to pursue graduate education. Chad received a Ph.D. in economics and statistics in 1999 from Iowa State University. Chad’s research has examined the interaction between the agricultural commitments within the World Trade Organization (WTO) and the agricultural policies and programs of WTO members, crop insurance, international trade, biofuel policy, federal agricultural policy, and crop marketing.